Hearthstone Pizza at 2755 Lougheed Hwy in Port Coquitlam. Casual, small, grab-and-go type atmosphere. The concept at Hearthstone Pizza is to build your own pizza by selecting your size, sauce, cheese, and toppings. They have lots of different toppings to choose from and unlike most pizza places all the toppings are built into the price, so you can put a bit of everything on it without having to pay more. The crust was very thin and crispy, which is just the way I like it. A regular size is $9 which I think is very reasonable and is big enough for one person. I love that Hearthstone Pizza lets you customize your pizza with toppings for a flat rate. It is worth trying for anyone who likes a variety of toppings on their pizza. 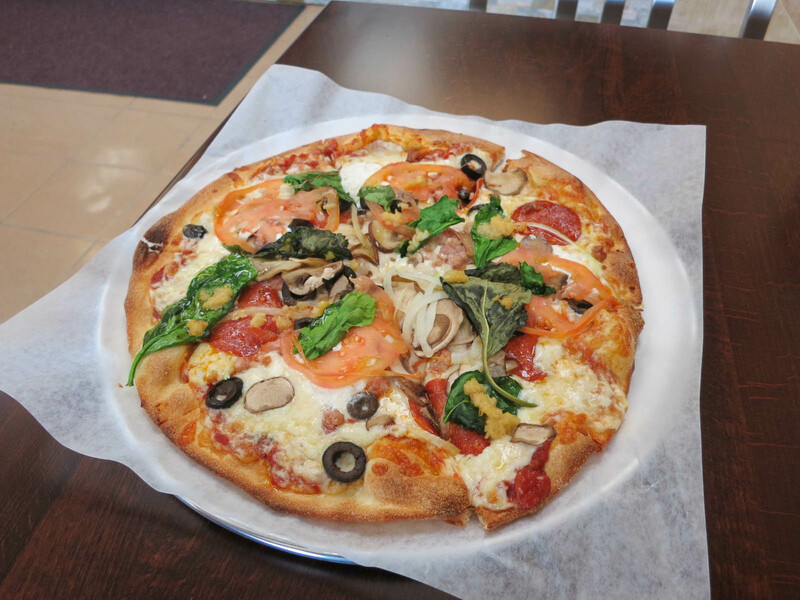 We thought to come by and say THANK you once again for your review of Hearthstone Pizza. We’re glad you managed to try out our thin crust pizza. Thank you for taking the time to trek all the way to Port Coquitlam.